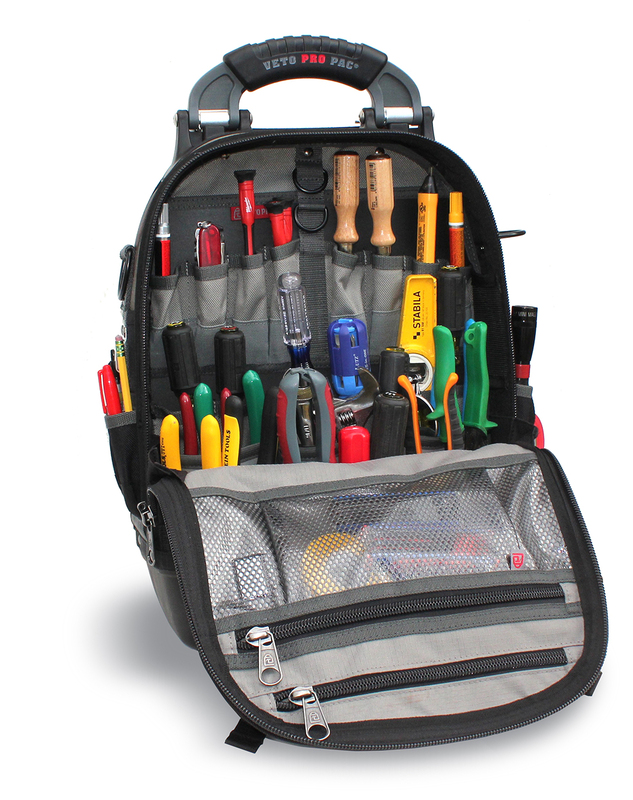 With 46 pockets inside and out, the Tech Pac has ample room for hand tools, meters, parts boxes, cordless drills and impact drivers, as well as other bulkier items such as manifold gauges, hoses, cable wires and even a tablet. 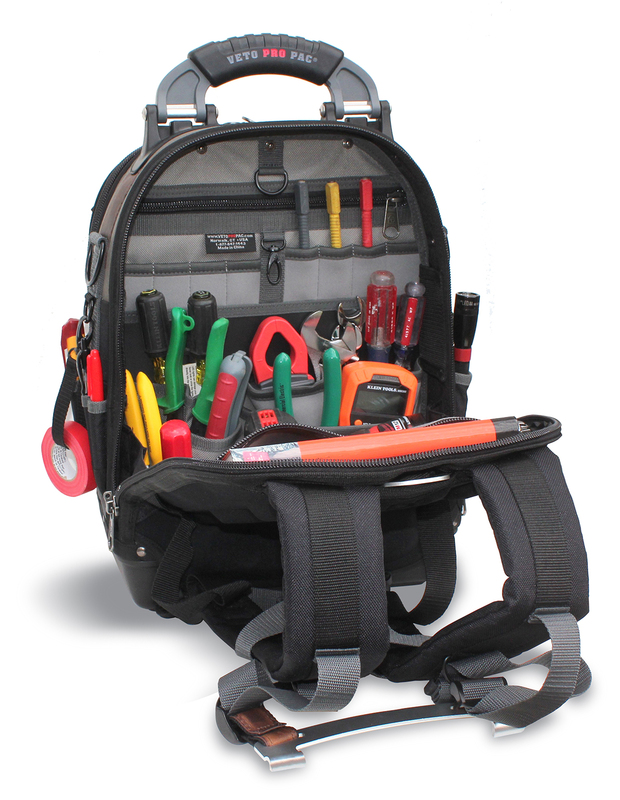 The backpack features an innovative quick release handle that allows easy access to the larger tool bay compartment and reduces the strain on the shoulder straps unlike any other backpack bag. 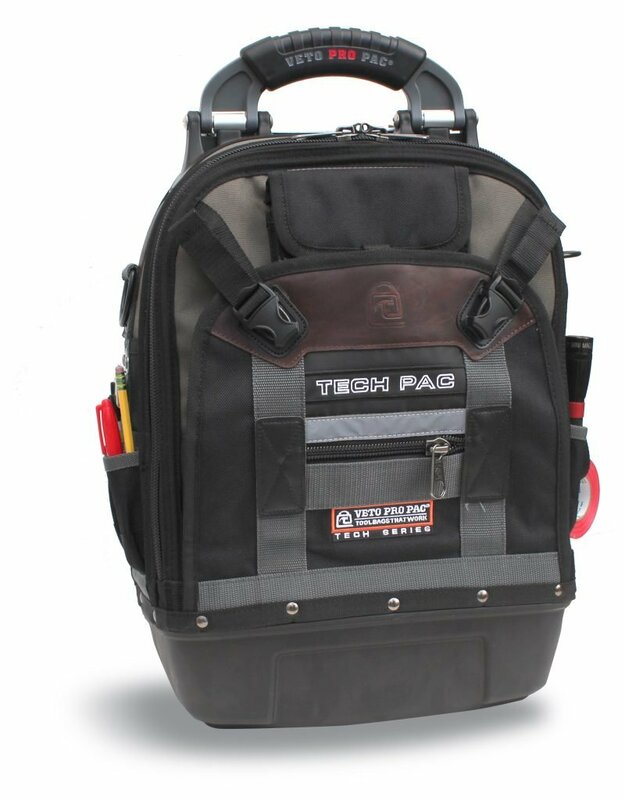 Q: I had a question about a promotion that included a meter bag if you purchased the veto pro pac tech pac are you guys planning on having that promotion again? 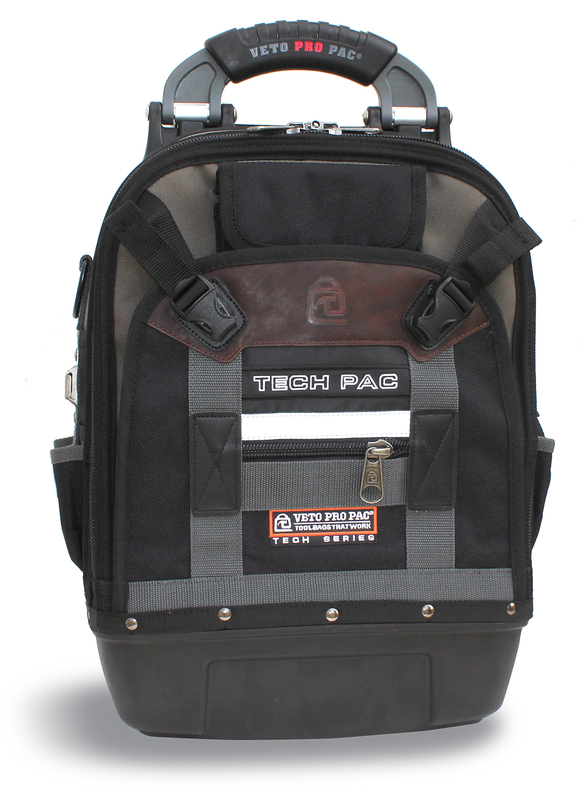 A: We are running a promo right now for Veto Bags. This promo expires on June 30, 2016. That link, above, is the best way to keep track of our promos. It is also shown as a link on our home page. 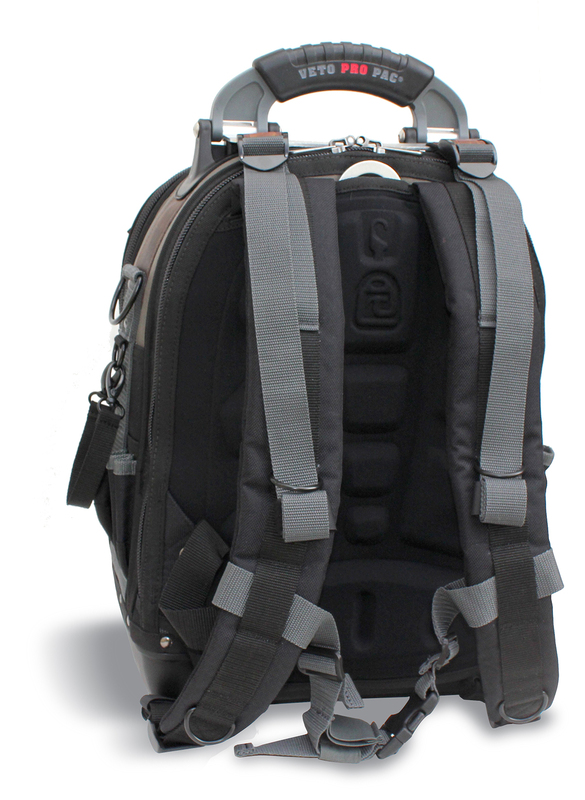 280 TruReward$ points will be placed in your account when you buy this item.